The SMA Sunny Tripower 5.0 makes PV systems in private households especially powerful. It combines top inverter performance with maximum ease and comfort for its users. With integrated services and shade solutions, it can meet any challenge found on roofs. The Sunny Tripower reliably ensures maximum solar yields and reduces electricity costs. The new Sunny Tripower 5.0 solar inverter ensures maximum energy yields for private homes. This inverter combines the integrated Service SMA Smart Connected service and intelligent technology for all ambient requirements. 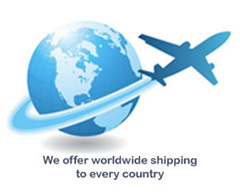 Thanks to its extremely light design, the device can be installed quickly and easily. The Sunny Tripower can be commissioned quickly via smartphone or tablet thanks to its integrated web interface. For specific requirements on the roof, such as shading, the TS4-R module optimizers can be added into the system, with all communication and monitoring facilitated through the inverter. Current communication standards make the inverter future-proof, meaning intelligent energy management solutions as well as SMA storage solutions can be flexibly added anytime. 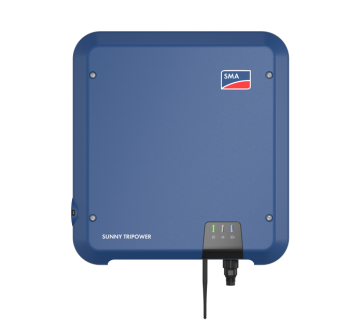 SMA Sunny Tripower 5.0 solar inverter weighing only 17 kilograms, this three-phase Sunny Tripower can be installed quickly while taking up minimal space. The Sunny Tripower can be commissioned quickly via smartphone or tablet thanks to its integrated web interface.